These High-End Power Cables are developed with great care which can be found in to the perfect functionality and design. Thank you for your interest in this SEEC product. Audio and appliances produced by SEEC INT. AUDIO SYSTEMS is fulfilling to the highest standard of modern day equipment, apparatus and cabletechnology. We are proud with our new professional Power Connecting cables with the models: "SUPER TWINE" T15, T25, B15 en B25 and there achievement to put to work as the current supply of various audio equipment. For example: To heavy Power Amplifiers. The "SuperTwine" design's are again a milestone of pure solid craftsmanship and fits within the philosophy of SEEC AUDIO SYSTEMS in conjunction to technology and innovation. The design of the "SuperTwine" Powercables represent a new generation of professional Powercords after a serious research on audible improvements on the equipment's current supply cables. SEEC INT. AUDIO SYSTEMS started in 1988 with the development of advanced electronics especially designed for the reproduction of music for professional and semi-professional users. This concept now became affordable reality and embodies pure listening pleasure. The "SuperTwine" are highly High-End Powercords. 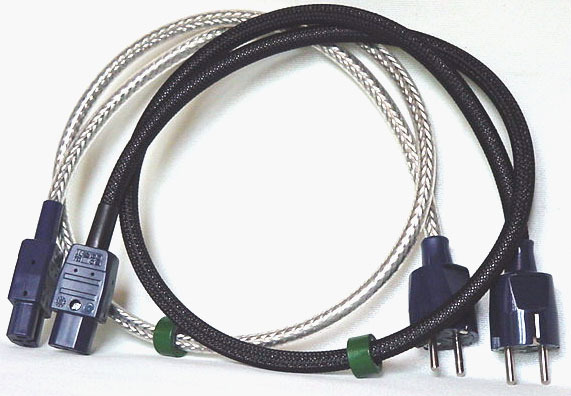 * Heavy OFC 3x 1.5 and 2.5mm2 (AWG14) flexible shielded Powercable. * Standard cable-length is 1.20 Mtr (4.0 ft). * Available according to custom cable-length (Optional). * Models B15>1.5mm2 B25>2.5mm2 are black socked. * Models T15>1.5mm2 T25>2.5mm2 are clear Transparent. * Elimination of Eddy Current flow, RFI en EMI interference/Tuneable. * Loaded: up to 10A @ 90-240VAC 50/60Hz for the T15 en B15. * Loaded: up to 16A @ 90-240VAC 50/60Hz for the T25 en B25. * Three year warrantee on productionfailure. Also look at: SEEC INT. AUDIO SYSTEMS For special audio equipment. Or we take you to: SEEC AUDIO NET-FILTERS To improve your audio quality. Or we show you: SEEC ACTIVE SIGNAL INTERLINKS As the first active interlink in the world. Or to: PROF. LOUDSPEAKER CABLES High Resolution SPEAKER CABLES. Please contact us freely without obligations per Telephone/Fax or E-mail. Daily between 08.30 AM and 20.00 PM. We have the advantage to be fully specialised in real audio products and offer 100% trust.